A simplified facility for linking Aadhaar with PAN Card is launched by Income Tax department. This new facility will enable anyone to Link Aadhaar with PAN in three simple steps. The prime purpose of linking Aadhaar with PAN is to fight against tax evaders who holds multiple PAN card for evading tax. This exercise will bring transparency and also reduce misuse of PAN card. It will also increase tax compliance. Looking at benefits the government has decided to make it compulsory for every individual to Link Aadhaar card with PAN card by 31st July, 2017. The facility of Linking Aadhaar with PAN was already available. However, it was given only to register users of Income tax e-filing portal. An individual not coming under income tax regime or those who have not registered income tax e-filing account was not able to use this facility. Apart from this many people were facing a challenge of data mismatch while linking Aadhaar with PAN. For all of them who are unable to link PAN with Aadhaar new simplified facility is available on Income tax portal. A process for using this facility is given below. Also Read – How to link Aadhaar to EPF Online on UAN Portal? Step 2 – In left pane navigation, you will find Link Aadhaar link. Step 3 – Click on the link and you will be prompted to provide information about PAN, Aadhaar Number and Name as per Aadhaar Card. Enter exact information as per Aadhaar card, avoid spelling mistakes or capital small wording. 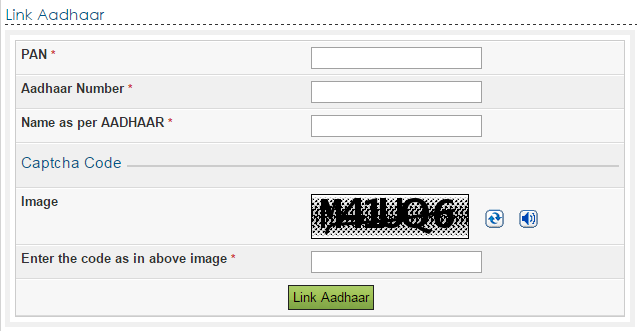 Step 4 – After providing all the information you have to click on Link Aadhaar button. After verification from UIDAI, the linking will be confirmed. The screen will show Aadhaar PAN linking is completed successfully. This facility is also available after login on the e-filing website under Profile settings. How to verify Linking of Aadhaar with PAN? You can also verify that linking of Aadhaar with PAN is successfully completed or not. In order to do that you need to login income tax e-filing portal. 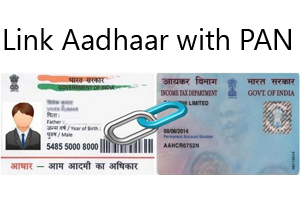 If your aadhaar linking with PAN is successful you will able to see a message like -“Your PAN is linked to Aadhaar Number XXXXXXX”. Press release on Aadhaar PAN linkage is available on income tax portal. I hope above information will help you in linking your Aadhaar with PAN. How to get instant e-PAN free of cost?